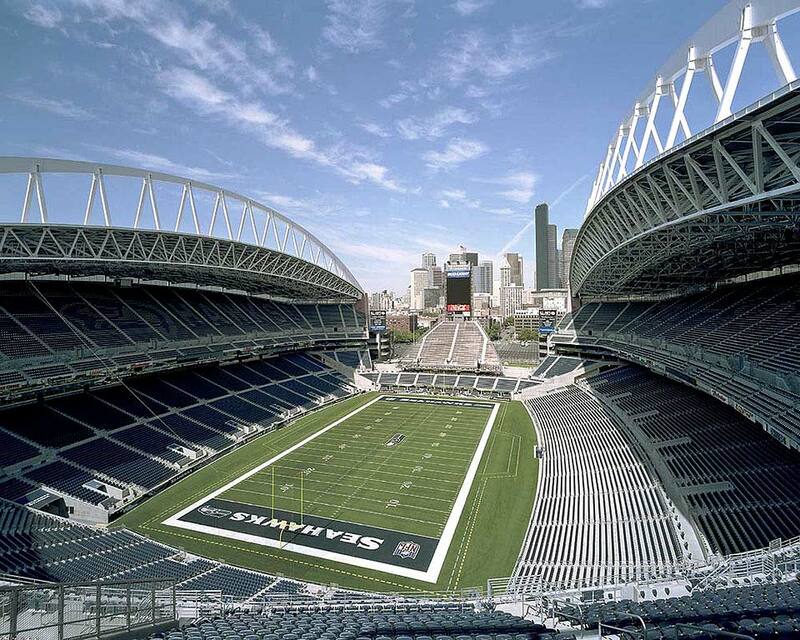 On July 28th, 2002, the 67,000 seat CenturyLink Field in Seattle Washington opened its doors to the public. The field is a state of the art and very modern. For those wishing to take in a Seattle Seahawks football game or a Seattle Sounders Soccer game, this amazing field contributes to the perfect experience. CenturyLink Field has had two other names over the course of its existence. It was originally called Seattle Seahawks Stadium and the name remained for less than two years when, in June, 2004, the name was changed to Qwest Field. The name change occurred after Qwest Communications gained naming rights. In June, 2011, Qwest was purchased by CenturyLink. This led to the third name change to occur and the name may remain in place for several more years. While the field carries the name of a private enterprise, the stadium is actually a publicly held entity. The Washington State Public Stadium Authority owns the stadium. The decision to create a new stadium was left to the voters who did approve the funding for the construction of the venue. The actual vote was state-wide, rather than just in Seattle. The vote took place in June of 1997 and the actual construction of the field took place between 2000 and 2002. To help oversee the creation of the stadium, Paul Allen, the owner of the Seahawks, created an organization called First & Goal Incorporated. Allen contributed a great deal to the design process of the stadium. He was leader in the decision to create an open air venue that offers views of the Downtown Seattle skyline. Ellerbe Beckett was the architect who drew up the plans on the project. Overall, the cost of construction was $430 million. The general contractor who worked on the stadium was the Turner Construction Company. The surface of the field is made up of Astroturf. Both soccer and football events are held on the field. NCAA football is also played at the field with the Washington Huskies being the chief team to utilize the stadium. There are also two soccer teams that play here. While football, soccer and concerts are what most people associate with this stadium, there are other purposes that the venue serves. The stadium itself is not the only component to entire facility. With the complex, there is the Event Center and the WaMu Theater. Both of these venues can host their own events. The seating capacity is much smaller in these areas. Concerts are common at the venues and so are trade and consumer shows. Other sporting events can be held here as well. During the Halloween season, for example, there is an event called Freak Night and it celebrates the spooky nature of the holiday. There are other holiday themed events that take part at various other times during the year. Ski Dazzle is another event that takes place in winter and it draws in large crowds. The Seattle Auto Show is another extremely popular happening held at the field. Both classic cars and the cars and futuristic models are put on display at this very popular exhibition. Those wishing to host a private event at the field can do so. Contacting event services is all that is required to learn more about how the process of booking the venue works. The stadium is located at 800 Occidental Ave South in Seattle, Washington. The phone number to the front office is (206) 381-7555. The hours for the main business offices are 8:30 A.M. to 5:00 P.M. The field itself is not very far from the central business district in Seattle. Therefore, access by various different freeways and mass transit is possible. For those who drive to the venue, a parking garage is available on the premises. The website of the venue also offers traffic updates for those worried about any difficulties commuting to the stadium.